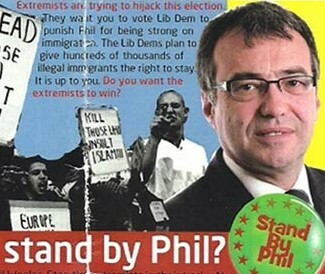 Phil Woolas has lost his appeal by way of judicial review of the decision to strip him of his election victory in Oldham East and Saddleworth in the 2010 General Election. He has said he will not appeal the decision. Mr Woolas had to first convince the Administrative Court, which handles judicial reviews of the decisions of public bodies, that it had jurisdiction to hear the claim. He won on this point. However, once it had accepted it could hear the case, the Administrative court went on to uphold most of the decision of the Election Court. Election Courts are a somewhat obscure 1868 invention of Parliament. The are made up of High Court judges and rule from time to time on whether election candidates are guilty of illegal practice. speedily be destroyed, if, after the heat and excitement of a contested election, a Judge is to proceed to the scene of recent conflict, while men’s passions are still roused, and, in the midst of eager and violent partisans, is to go into all the details of electioneering practices, and to decide on questions of general or individual corruption, not unfrequently supported or resisted by evidence of the most questionable character. In this case, the question arising the “scene of recent conflict” was whether Woolas had made or published “any false statement of fact in relation to the candidate’s personal character or conduct”. On 5 November 2010 the Election Court held that Woolas had in fact acted unlawfully by making statements in relation to the personal character or conduct of his opponent Mr Watkins which amounted to an illegal practice (see our previous post for the full background). His victory was declared void. The last time an election court declared an election void was 99 years ago. Mr Woolas strongly disputed the findings of fact, but he accepted there is no right of appeal or other means of challenging those findings. He applied to the Administrative Court to challenge the interpretation that the Election Court had given to the relevant statutory provision (section 106 of the Representation of the People Act 1983) contending that on a proper interpretation none of the statements was in relation to the personal character or conduct of Mr Watkins. Woolas’s judicial review application was initially rejected by Mr Justice Silber, who ruled that the judges convened as an election court were acting in their capacity as High Court judges, and therefore not amenable to attack by way of judicial review. That application has now been reheard by a panel of three judges, Lord Justice Thomas, Mr Justice Tugendhat and Mrs Justice Nicola Davies DBE. First issue – can you review an election court decision? On the first issue, the court disagreed with Mr Justice Silber, and ruled that a decision of the election court could indeed be judicially reviewed. This might represent a departure from the longstanding principle that a High Court judge cannot be judicially reviewed, although given the unusual circumstances it probably will have little or effect on future decisions in relation to judicially reviewing High Court decisions. In other words, “final” need not necessarily mean final if, on occasion, that would lead to injustice. The court went on to decide that it had wide powers to review any error made by an election court. And this review would be subject to appeal in the Court of Appeal if permission was granted. Second issue – did the election court get it wrong? Having decided that it had the jurisdiction to hear the case – an initial victory for Woolas – the court went on to uphold most of the election court’s original decision. It disagreed with the election court’s decision that a false statement can at the same time relate both to a candidate’s public and personal character (para 109). The central focus of the original legislation was to prevent candidates impugning the personal character of their opponents. This may relate, for example, to his “family, religion, sexual conduct, business or finances” (para 112). However, a statement about a political position “can go beyond being a statement about his political position and become a statement about the personal character or conduct of a candidate” (para 114). This is clearly a difficult and potentially slippery definition, but one which Parliament has decided that the courts should examine in light of particular facts and allegations. With this in mind, the court ultimately upheld two of the three findings of unlawful behaviour by the election court. The finding it rejected related to the statement that Mr Watkins had reneged on a promise in respect of a political position in Choose magazine. The statement in Choose, ruled the court, was not a statement in relation to the personal character or conduct of Mr Watkins. Although it was a statement that implied he was untrustworthy, it was a statement in respect of his political position. However, the statements in The Saddleworth and Oldham Examiner and Labour Rose went beyond being statements in relation to Mr Watkins’ political position as to wooing extremist voters, to being a statement in relation to his personal character in that he was a man who condoned extreme violence. As such, the court upheld the election court’s decision. Even if it had rejected two out of the three findings of unlawful behaviour by Woolas, this would still have been enough to strip him of his election victory. One would have been enough. The court’s reasoning is quite difficult to follow, and may leave open the potential to appeal. However, its conclusion on human rights was clearer, and is difficult to dispute. It held that the right to freedom of expression “does not extend to the publishing, before or during an election, of a statement that is made dishonestly” (para 106). What matters in respect of freedom of expression is not whether the statement was about a person’s personal or political character, but rather whether the statement was dishonest. Section 106 is more limited than even this – its scope only extends to false statements made in relation to personal character or conduct – but the fact remains that lies are not subject to human rights protections. Although Mr Woolas will be disappointed that his election victory is still void, he did succeed in getting his case heard in the first place. This seems like the right decision. It is of great importance that election court decisions are taken quickly, and are final in most cases. However, it would be surprising if they were never open to review by any court, even if a judge made a gross error of law in coming to his decision. This would go against the basic principles of the justice system and is surely too harsh even when decisions need to be quick. The administrative courts are used to making decisions which can have huge effects on the operation of public bodies, and to that end applications must be made within three months, as opposed to the 6 years a claimant has to bring a claim in most civil disputes. They are generally dealt with fairly speedily, although this can vary depending on the workload of the courts. But decisions are still subject to appeal, and this means that errors of law – but only errors of law – can be examined and corrected if necessary. In respect of speed, it is to be expected that any decision of an election court will be given top priority and therefore dealt with quickly. An effect of the administrative court’s decision is that since Mr Woolas has been accepted into the ordinary judicial review system, rather than being trapped in the odd single-shot election court system as Mr Justice Silber had initially ruled, this means that he has the chance to appeal. If he chooses to (which may be unlikely given his comments following the decision) and is granted permission, given the urgency this may be a candidate to be ‘leapfrogged’ straight to the Supreme Court. So the decision may still be reversed, although given the unattractive and somewhat seedy factual circumstances surrounding the election brochures and adverts, he may well be unsuccessful again. This case has provided the courts with another chance to make constitutional observations about its own role in the separation of powers system, following the recent decision of the Supreme Court in the parliamentary expenses case. This is interesting for lawyers but more importantly serves to shine a light on a formerly obscure but essential part of the constitutional system. I don’t see how this can be right. Sure, human rights law shouldn’t protect Woolas from being held responsible for his comments (e.g. defamation law), but it’s surely another matter entirely to say that there can be no human rights protection from being forced from his seat and barred from Parliament for a number of years? Interesting isn’t it. I hope that we have “moved on” since the days when the L.C. wrote such a letter. I think that most politicians accept that it is fairer for a parliamentary election court to hear such cases. Of course there will be some who will support the line that Mr Woolas was making a political statement and not attacking the character of his opponent. It’s not quite in the Bush v Gore league – 10 years ago (believe it or not). Now there was a SCOTUS decision which probably did change history. CharonQC – I imagine we will! But as you say, judges are only doing what Parliament expressly asked them to do. See para 22 – 25 of the judgment on the history of the 1868 act. This is an excellent post – and a fascinating issue. Hopefully we won’t have too much more nonsense from politician and political bloggers about ‘unelected judges’ undermining democracy?